Chabad hosts Robert Meeropol, 'bar mtizvahs' him in spontaneous celebration. Robert Meeropol, the son of Julius and Ethel Rosenberg, celebrated a belated bar mitzvah at age 71. Meeropol, an attorney, was adopted by another family following his parents’ execution. He spoke on Thursday to a conference organized by the Rohr Jewish Learning Institute, an educational initiative affiliated with Chabad, the hasidic outreach movement. 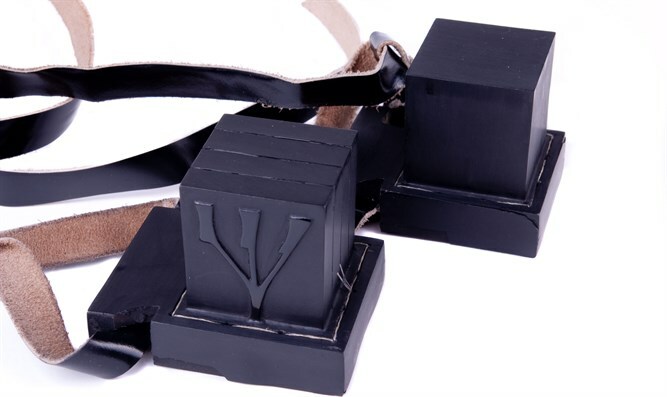 While there, he wrapped tefillin (phylacteries), as a belated celebration of being bar mitzvah, or a Jewish adult — a ceremony most Jewish boys have at age 13. Meeropol has investigated his parents’ case for decades and maintains that his mother was innocent and his father did not pass on nuclear secrets to the Soviet Union. At the time of their execution, American Jews were afraid that the Rosenbergs’ case would lead to a wider anti-Semitic backlash, which it did not. Some Jews also charged that the couple’s capital punishment was excessive and motivated by anti-Semitism.